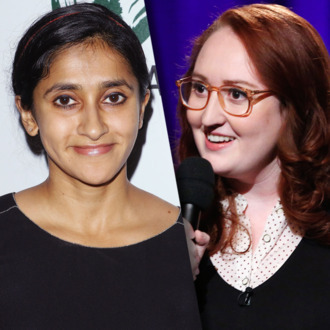 Though there are undeniably plenty of women at the top of comedy mountain, female representation actually appears to decrease as you descend the mountain. There are opportunities for Melissa McCarthy and Amy Schumer, but if you look at that level of comedians trying to transition from featuring at clubs (doing about 15–20 minutes) to headlining, things are less sunny. Progress like this changes things for people. Sure, it’s not perfect, but it’s still nice to see. A half hour is often a step on the path to a develop deal at Comedy Central or, at minimum, it raises a comic’s profile to where they can get significant TV work. That means progress here has a direct influence on more widespread progress on TV. The specials will tape in June, with no release date set. Read the full list of comedians below.